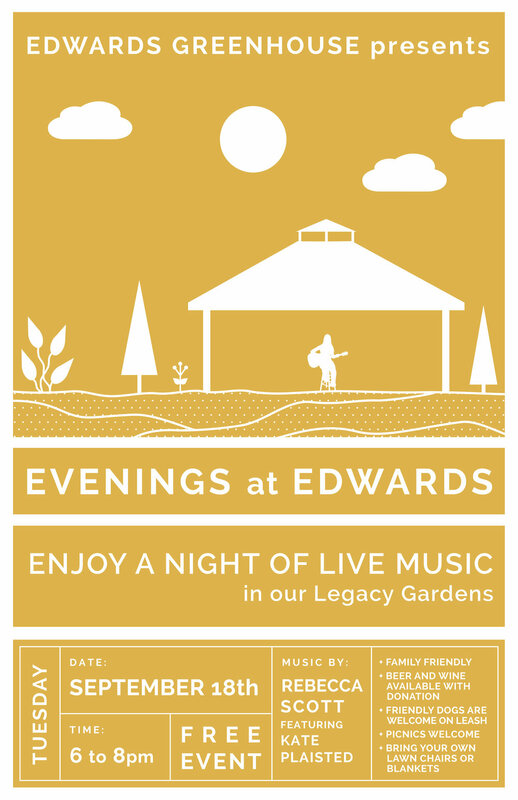 Every third Tuesday, from June through September, enjoy a night of live music in our Legacy Gardens! For September 18th, enjoy music by Rebecca Scott featuring Kate Plaisted (Girl in the Garden)! Picnics are welcomed and encouraged. Don't forget lawn chairs or a blanket! Beer and wine available with a donation. Family friendly (children must be supervised at all times) and friendly dogs welcome on leash (please pick up after them)! 6-8pm The Greenhouse will close at 5pm, no shopping will be available.